The historic Enoch Turner schoolhouse in December, 2016. The view gazes southwest on Trinity Street, a short distance south of King Street East. Today, the historic building, which once housed the first free school in Toronto, appears lonely and rather out of place as the excited voices and boisterous activities of children have long since vacated the scene. Located at 106 Trinity Avenue, the restored building is a short distance south of Queen Street East. When it opened in 1849, it was a breakthrough in the educational life of the city. 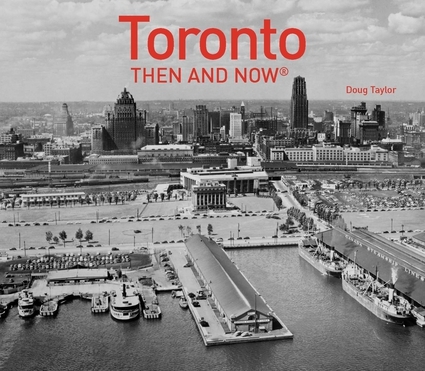 In the 1840s, Toronto was young, having been incorporated a mere 15 years before the school opened. In that decade, immigrants continued to arrive daily, many of them from Ireland, where the potato crop had failed, creating economic hardship and severe famine. When they reached Toronto, most families were too poor to afford an education for their children. This meant that for their entire lives they would likely be confined to low-paying jobs involving manual labour. One of Toronto’s prominent citizens, Enoch Turner, stepped in alleviate the situation by providing funds to open and operate a school that was free to attend. Enoch Turner was a successful businessman who earned his living as a brewer. Born in 1792 in Staffordshire, England, he arrived to the city about the year 1831. He established a brewery on Taddle Creek, where today the intersection of Front and Parliament Streets is located. Turner had earned a reputation as man with a strong social conscience. It was said that at his brewery he employed ex-slaves that had fled north from the United States. In 1832, a disastrous fire destroyed much of his brewery, but his reputation was such that his fellow citizens stepped in to assist him to rebuild. This was accomplished by having the York Circus give a benefit performance. By the mid-1840s, he was once more prospering, and in 1845, he provided funds for the free school on Trinity Street. The property was owned by Little Trinity Anglican Church, located on the southwest corner of Trinity and King Street East. Turner was a benefactor of the church and well known by the church’s elders. The site for the school, which they named the Ward School, was immediately south of the church. It is not known definitively who Turner hired to design the schoolhouse, but it is generally thought to be Henry Bower Lane, as two years previously, he had been the architect of Little Trinity Church. The school was a one-storey, red-brick building in the simple Gothic revival-style. The narrow peaked windows were trimmed with stone. Yellow bricks were inserted at the corners of the structure, around the doorway on Trinity Street, and in a solid multi-brick row near the roofline. There’s some debate about when the Toronto Board of Education was founded, but it is thought to be in 1850 as this is the year that legislation was adopted in Canada West (Ontario) to create municipally funded education. The following year, the Toronto Board of Education assumed responsibility for educating the children of Toronto. The Ward School was taken over by the board and renamed Trinity School. However, it closed in 1859 when the public school relocated to a more spacious location. The ownership of the old school and the property on Trinity Street now reverted to Little Trinity Church. In 1869, Little Trinity Church added an extension on the building’s west side (the West Hall), designed by the noted Toronto architectural firm of Gundry and Langley. It was one of the earliest commissions of Henry Langley, when he was in partnership with Thomas Gundry. Langley eventually became one of the most influential 19th-century architects in Ontario, designing the Metropolitan Methodist (United) Church at 56 Queen Street East, McMaster Hall at 273 Bloor Street West, and the Bank of British North America at Yonge and Wellington. Until the 1960s, the former school building was employed as the Sunday school and Parish Hall for Little Trinity Church. Near the turn of the century, in 1899, it was a recruitment centre for enlisting troops for the Boer War. During World Wars I and II, it was a recreation centre for serviceman training in Toronto that were distant from their homes. In the Great Depression it was employed as a soup kitchen, serving 1500 people a week. After the war, in the 1950s, it was the church’s neighbourhood youth clubhouse. In 1961, temporary services were held in it after a disastrous fire in the church. When Little Trinity was restored, the former school became a cultural centre for the community, featuring concerts, youth programs, and the visual arts. By the 1970s the structure was badly in need of repairs and it was feared that it might be demolished. Thanks to architect Eric Arthur, who wrote “No Mean City,” a group was formed to raise funds for its restoration. It was successful. Governor General Roland Michener officially opened it as an historic site and museum in 1972. It is today one of the oldest, continuously operated buildings in Toronto. Now owned and operated by the Ontario Heritage Trust, it is employed as a museum, conference space, and special events venue. The author is indebted to the following sources for much of the information. View of the east facade at 106 Trinity Street in 1953. The West Hall is visible at the rear of the building. Photo was taken prior to its restoration. Toronto Public Library, r- 2817. View of the school looking northwest on Trinity Street in 1956. On the north side of the school is the south (rear) portion of Little Trinity Church. Toronto Public Library, r- 2820. View looking west on Trinity Street in 1990. Toronto Archives, Fonds 1465, fl0676, item 0038. Gazing south on Trinity Street toward the lake in 1991. Lake Ontario and the Gardiner Expressway are behind the buildings at the end of the street. The schoolhouse is on the west side of the street, in the foreground. Toronto Archives, Fonds 1465, Fl 0676, item 0036. Enoch Turner Schoolhouse in 1991. Toronto Archives, Fonds 1465, Fl 0651, item 0033. Undated photo of the interior of the school. Photo from www.worldofgord . Gazing north on Trinity Street toward King Street East in December 2016. The shops on the north side of King Street are visible. View of the east facade, revealing the yellow bricks on the corners of the structure and around the doorway. The windows are trimmed with stone. The north facade of the original building in 2016, the east side of Trinity Street visible in the background.